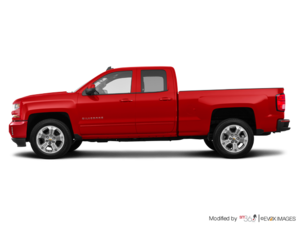 Home > News & Events > News > How Powerful Is the 2019 Chevrolet Silverado 1500? There really is nothing quite like a Chevrolet pickup. Born and bred to perform under pressure and in any condition, models like the Silverado have become iconic in their own right, both for casual drivers and blue-collar professionals. Today, our Lanoue Chevrolet team wants to give you an inside look at what Chevrolet’s flagship truck is capable of achieving – there are five available engine options for the 2019 Chevrolet Silverado 1500, and we’ll show you all of them, including their power ratings! With its high-strength, as well as top available options such as a pickup box and high-tech trailering assistance features, the 2019 Silverado 1500 is able to handle itself quite well. In fact, you can expect a maximum tow rating of 12,200 pounds, and a payload capacity as high as 1,860 pounds! That means that there’s nothing that the Silverado 1500 isn’t able to accommodate. If you have any further questions about the 2019 Silverado 1500 and its capabilities, it’s currently available at Lanoue Chevrolet – we invite you to contact our sales team for more information and to schedule a test drive!